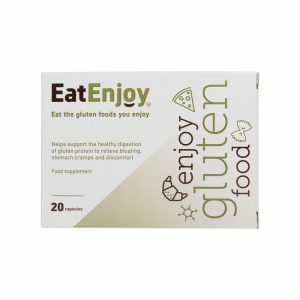 Eat the gluten foods you enjoy… EatEnjoy Gluten enzyme supplement pills help support the healthy digestion of gluten protein to relieve bloating, stomach cramps and discomfort. 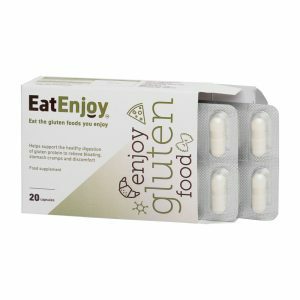 If you’re not sure if EatEnjoy Gluten will work for you? Get a free sample gluten enzyme supplement tablet PLUS an exclusive discount offer for your first order!